Place two frozen balls on the rail at diamond no. 7. Casually hold your cuestick in line with the 3 ball and diamond no. 6, while placing the cue ball along the same line for the shot. Stroke the cue ball above center hitting the 3 ball full in the face. 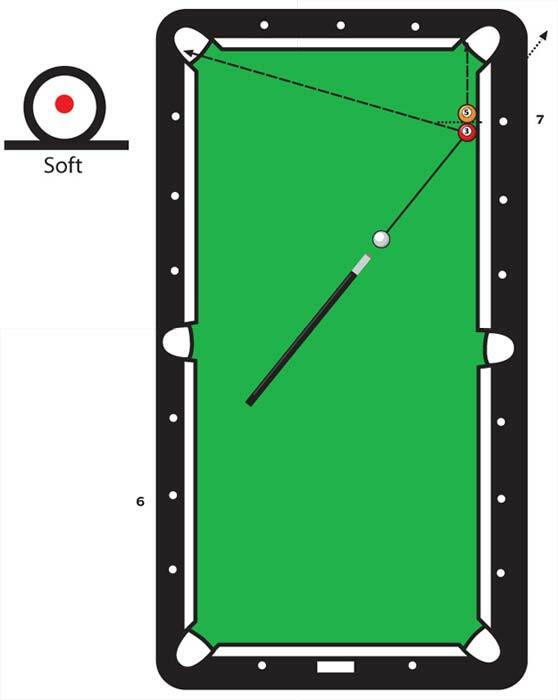 The 5 ball pockets straight in and the 3 ball double kisses across the side.